Description In Bugongo you play as a little green dragon who is desperately trying to chase and at the same time protect his egg from the dangerous viridian hills of the world! 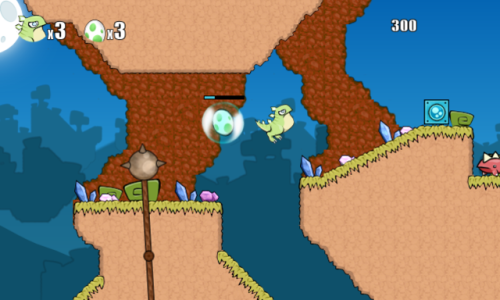 Controls Run the first level to learn the game mechanics and key mapping. - UP and DOWN (or W and S) = Control the Egg.